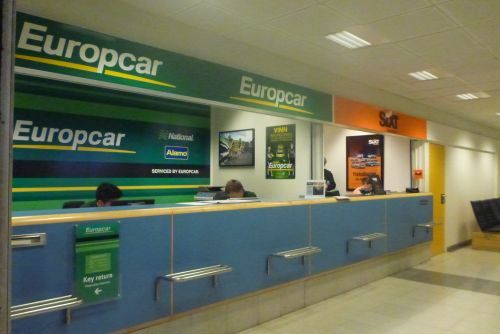 You can locate the Europcar branch at Murcia Airport by heading for the arrivals area on the ground floor. Why not obtain an instant, online quote for your Spanish car hire here. Europcar Car Hire are part of the Volkswagen Group and are one of the worlds largest car rental companies with an enormous number of offices throughout Spain and the Europe. Europcar offer car hire at most Spanish Airports. You can find them at: Alicante Airport, Almeria Airport, Barcelona Airport, Bilbao Airport, Girona Airport, Ibiza Airport, Jerez Airport, Lanzarote Airport, Madrid Airport, Malaga Airport, Murcia Airport, Palma Airport, Reus Airport Tenerife Airport, or Valencia Airport. You can read about our findings with regards to car hire in Spain. If you click on our link to car hire in Spain you will find an article we have put together specially to give you some tips on what to take into account hiring your rent a car.